Dr Yujia Zeng graduated from University of Adelaide in 2010. She has since worked in private practice in Geelong and central Melbourne after moving back to Victoria to be close with her family. 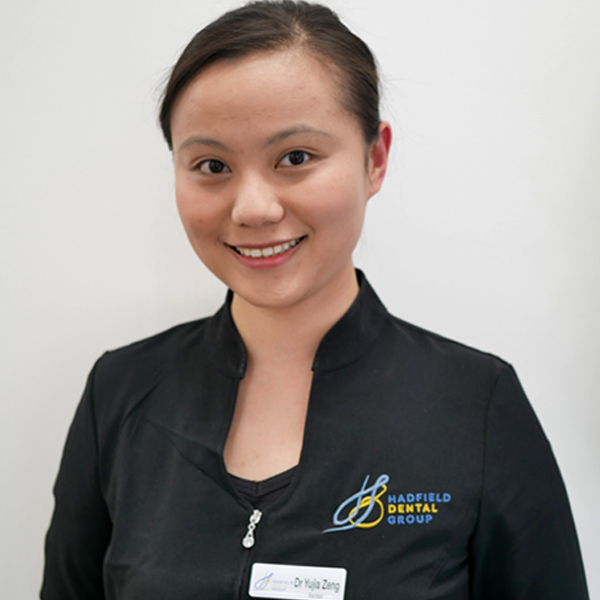 Dr Zeng is proficient in doing all aspects of general dental care, including root canals, crowns and bridge, root planning and dental extractions (general and wisdom teeth), with great patience and attention in detail. She is experienced in dealing with emergency dental pain and helping dentally anxious patients, focused on doing comprehensive planning to help patients return to good oral health and smile with confidence, and has a keen eye for creating aesthetic natural results. Dr Zeng keeps up to date with approved continuing education courses and latest evidence based approach for treatment. In her spare time, she enjoys visiting new places, walking her dog, and watching new shows – ideally all with great food. Dr Zeng is fluent in both English and Mandarin.